When a ‘one product company’ releases their first new product after 52 years, the stakes are pretty high. Maker’s Mark, a huge contributor to the recent boom in bourbon consumption, makes a massive bet with their new product, Maker’s 46. To put this into perspective, this move is as big a deal as when Coca Cola reformulated their product to make ‘New Coke’. The difference here is that Maker’s 46 isn’t designed to replace the standard Maker’s Mark, it’s meant to expand their offerings into a new space. Sticking with the soda analogy one moment longer, Maker’s 46 is the equivalent of Coca Cola launching Dr. Pepper. While the experience will remind you of drinking a soda, it’s a unique beverage experience in its own right. 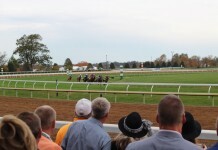 The folks in Loretto, Kentucky can breath a sigh of relief, because unlike ‘New Coke’, Maker’s 46 is actually a marked improvement over the standard Maker’s Mark, and a move that will surely win over new fans of the brand and expand their market. Maker’s Mark Bourbon (90 Proof) – Doing a tasting of something like Maker’s takes a lot of work. You get so used to drinking something that it becomes overly familiar and you stop picking apart the tastes. It was a delight to revisit Maker’s Mark in a tasting environment. With a nice orange red / amber color, Maker’s Mark has a soft nose with notes of cinnamon, vanilla extract, oak, cedar and tobacco. The taste of Maker’s Mark is sweet caramel, vanilla, and wheat grain with undertones of cinnamon and oak. Maker’s Mark has a pretty quick finish that leaves your mouth clean and cool (a sign of great distillation). Maker’s Mark has won over a lot of new bourbon drinkers because it’s simply delicious and easy to drink. 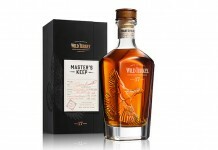 Highly Recommended – With its wide availability and easy drinking, Maker’s Mark is often one of the best options you can order on the rocks at a bar that you know doesn’t do cocktails well. Maker’s 46 (94 proof) – More yellow brown / amber in color than Maker’s Mark, Maker’s 46 looks different in the glass. The nose is infinitely more complex with notes of butterscotch, vanilla bean, baked apple, bran cereal and huge maple syrup. The entry is very smooth with a fantastic mouth feel. The taste is huge cinnamon with confectioner’s sugar, bran cereal, maple and undertones of caramel, cardboard, and sweet oak. The finish is longer and much sweeter than Maker’s Mark and cleans up leaving your mouth very cool. While Maker’s 46 is unique, it still has parity of taste with Maker’s Mark as they’ve retained many of the qualities that have made Maker’s Mark so successful. 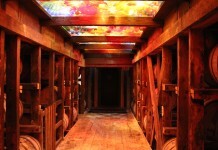 Maker’s 46 builds on the excellent foundation of Maker’s Mark and represents a big step forward. We absolutely enjoyed Maker’s 46 even more than Maker’s Mark and expect it to do great things in the marketplace. Very Highly Recommended – Maker’s took a risk and it has paid off big time with a more complex, spicy and enjoyable spirit. 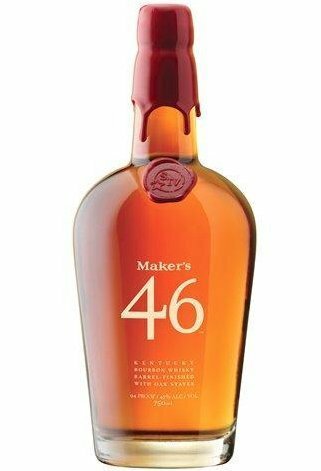 We actually like Maker’s 46 even better than the original and expect it to be a huge hit in the marketplace.